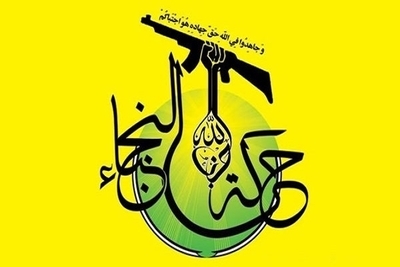 Harakat al-Nujaba' (known more fully as Harakat Hezbollah al-Nujaba') is an Iraqi-led group that first emerged in 2013 and is one of the better known Iraqi-led factions participating in the fighting in Syria. Less known, however, is the group's recruitment of Syrians. I recently interviewed Muhammad Rusi, a Syrian fighter in Harakat al-Nujaba'. Below is the interview with any parenthetical insertions in square brackets. Q: Firstly can you tell me a little about your life before the events? You are of Syrian origin and you were living in which area? And how was life before the events? A: I was born in Busra al-Sham. I was studying and life was secure. Q: So you were living in Busra al-Sham until the beginning of the events? Q: And with the beginning of the events you went to Damascus? A: At the beginning of the events in 2011 I moved to Damascus: the Sayyida Zainab area. Q: Yes. And when did you bear arms for the first time against terrorism, and with which faction? A: 2016, with the faction Liwa al-Imam al-Hussein. Q: Can I ask why you chose to work with Liwa al-Imam al-Hussein in the beginning? Because for example you had friends in that formation and they invited you to work with them? A: No, I didn't have friends in it. But what attracted me to it in the beginning is that I could join a faction bearing the name of Liwa al-Imam al-Hussein and defending the shrine of Sayyida Zainab (peace be upon her). Q: Yes. And in which areas did you fight under the banner of Liwa al-Imam al-Hussein? A: In the Darayya area, and the airport road, Shab'a, 'Aqraba, Hajera, al-Hajar al-Aswad. Q: Yes. Regarding the Hajera area, I thought it had been liberated in 2013, but you joined Liwa al-Imam al-Hussein in 2016? A: Yes, it was liberated in 2013, but it was not liberated in its entirety. Three quarters of it were liberated. Q: Ah. I have understood you. And after Liwa al-Imam al-Hussein you joined Harakat al-Nujaba'? Q: Why you left Liwa al-Imam al-Hussein and joined Harakat al-Nujaba'? A: Because the official in Liwa [al-Imam] al-Hussein moved to Harakat al-Nujaba', and I wanted to move there. Q: Ah. So he joined Harakat al-Nujaba' and you wanted to work with him, right? Q: In which areas have you fought under the banner of Harakat al-Nujaba'? A: In Deir al-Zor, on the borders of Iraq. A: Yes, exactly. And in al-Sham. Q: With regards to al-Sham you mean the last battle of al-Ghouta? A: Yes in al-Sham the battle of East Ghouta, and in Aleppo. Q: Frankly I did not know that Harakat al-Nujaba' participated in the last battle of al-Ghouta. I thought that all the mujahideen remained in al-Ghouta at the time of the battle. A: On the contrary it operated in Ghouta but in a disguised sense. Q: I see. Are there many Syrians in Harakat al-Nujaba'? For example Liwa al-Imam al-Hussein has a special battalion for Syrians: the Death Battalion. Is there something like this in Harakat al-Nujaba'? A: Yes, correct, but there is no difference between us. We all work with each other like brothers. Q: Yes. But there is no special battalion for Syrians in Harakat al-Nujaba' like the Death Battalion in Liwa al-Imam al-Hussein? A: On the contrary there is. Its name is Harakat Nujaba' al-Souri. But some time ago they changed its name. And I forget its name. Q: Has the Syrian wing of Harakat al-Nujaba' become affiliated with an official side for the purpose of matters of taswiyat al-wad'? Q: So the Syrian wing of Harakat al-Nujaba' has become affiliated with the 4th Division? A: Yes, in an official sense. Q: Yes, so the 4th Dvision has done taswiya al-wad' for the mujahideen and you take salaries from it? A: Yes, correct. This is the agreement.